Suit up, grab a beer and join us for one of the greatest superhero movies of all time. 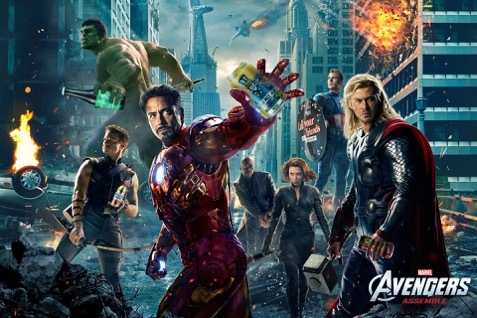 This time we get stuck into Marvel’s Avengers Assemble as we work our way through a selection of beers that we’ve put together for this episode. *These beers were sent to us for free by Honest Brew but this hasn’t influenced our thoughts on them or on just how amazing Avengers Assemble and the entire Marvel Universe is. So here’s a podcast featuring reviews of all 12 beers, and some familiar (and not so familiar) guests. Twitter | 12 Beers of Xmas Twitter list is here – follow these folk, they’re great! It’s that time of year again folks. Time to dig into the back of the cupboard cellar to see what wonders you have to enjoy over the festive period. In our second county showcase, we’re joined by Rachel Smith from Look At Brew to take us through the best that Sussex has to offer. We tackle four beers selected for us by Rachel to highlight where the Sussex brewing scene is right now. Embracing modern beer packaging , we have cans from Gun Brewery with their ‘Scaramanga’ and Hastings Beer Co’s ‘Four Cees’. We also cover a modern take on a barley wine with ‘Freudian Slip’ from the Naked Beer Co and an absolute classic from Dark Star in their ‘Espresso’. In addition to all this, we also squeeze in the news, another #hoptopic and one more big box of nothing is awarded in the #prizelessprize. Keep up to date with what’s going on in the Sussex Brewery scene by following Look At Brew where Rachel frequently includes features from Sussex, including some incredible folklore stories! The highlight of every season, where we’re lucky enough to get to sample some amazing beers that are being produced in people’s homes. 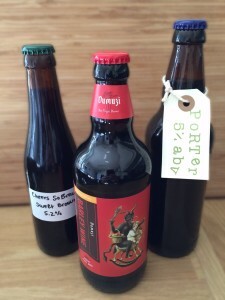 This time around we’re drinking a porter from Will Millard, a sweet brown from our first international homebrewer, Sarah Finney and finally a barley wine from Richard Harrall. There’s also an interview with the UK’s premium homebrew supplier, Robert Neale, also know as the Malt Miller. It’s Wee Beastie time! In a fun little collaboration with Harviestoun, we’re really bloody pleased to bring you a spin-off series of the Beer O’clock Show (but all still on the same feed) featuring a line of one-off beers from Harviestoun, brewed under the Wee Beastie moniker. In this episode, we have Shaun from Harviestoun on to explain just exactly what the whole Wee Beastie thing is about, and we tuck into the first of two beers from the lineup – a barley wine, and a very special bottle-conditioned version of Old Engine Oil Engineer’s Reserve. Did we mention it’s special? We’re also working with Justin Mason on this project to bring you his thoughts on the beers over on Get Beer. Drink Beer. Nearly there. Into the last quarter of the #12beersofxmas now and only 4 beers to go. Although there is the biggest ABV of the lot to come, the finish line is in sight. Today’s beer was sent to me MONTHS ago by Shepherd Neame. It’s an English Barleywine collaboration with Sigtuna Brygghus in Sweden that came about as a result of master brewers from the two breweries coming together at a trade show. 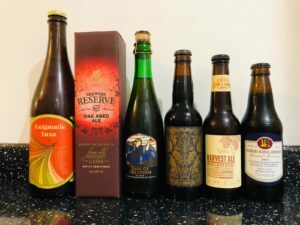 So the #12BeersofXmas is over and what started off as one man’s challenge to take on 12 beers during the festive period turned into a gargantuan team effort of epic proportions. We lost people along the way, some stayed with us for the duration, but I raise a glass in a toast to you all – Cheers! I was truly blown away by the response that this idea got and the way that you all got involved, and in an effort to recognize everyone’s efforts, I have summarised the roll of honour into four categories below.